At least 107 people were killed and more than 150 injured when an Indian express train derailed in northern Uttar Pradesh on Sunday, with the toll set to rise amid a scramble to locate survivors in the wreckage. Police officials said people were still missing as authorities were trying to ascertain what caused 14 carriages of the train traveling between the northeastern city of Patna and the central city of Indore to suddenly roll off the tracks in Pukhrayan, 65 km south of Kanpur city. Authorities said they were checking what condition the tracks had been in but added they would need to look further before concluding the cause of the derailment. Desperate survivors were looking for family members and some were trying to enter the damaged carriages to rescue relatives and collect belongings, said senior railway official Pratap Rai. "We are using every tactic to save lives but it's very difficult to cut the metal carriages," Rai said from the accident site. With the death toll set to rise, the derailment could become India's worst rail tragedy since 2005, when a train was crushed by rocks and another plunged into a river - each killing more than 100 people. India's creaking railway system is the world's fourth largest. The federal government runs 11,000 trains a day, including 7,000 passenger trains that ferry more than 20 million people, but it has a poor safety record, with thousands of people dying in accidents every year, including in frequent train derailment and collisions. Suresh Prabhu, India's railways minister, said in a tweet that the government would investigate the causes of the derailment and promised accountability with the "strictest possible action" and compensation for the affected passengers. The packed train, operated by the government, derailed in the early hours of Sunday when more than 500 passengers were sleeping, survivors said. TV footage showed mangled blue carriages, with crowds of people and police on top of the wreckage searching for survivors. One carriage was almost lying on its side, and appeared to have been completely torn apart. Rescue officials with yellow helmets were working their way through the crowds, carrying victims from the wreckage as teams struggled to remove the derailed wagons from the tracks, one of the main transportation routes for goods and passengers in northern India. "Suddenly I could feel that the carriage was overturning. I immediately held the metal rod near the bathroom door," said Faizal Khan who was traveling with his wife and two children, all of whom survived the accident. Another survivor, Rajdeep Tanwar said. "I can see bodies lying near the tracks, everyone is in a state of shock. There is no water or food for us." Buses were being pressed into service to help passengers complete their journey, said police additional director general Daljeet Singh Choudhary. Rescue teams said they would conclude the search operation before night fall and resume it on Monday, and nearby villagers were setting up temporary kitchens and erecting tents for survivors and officials. Prime Minister Narendra Modi, who started out selling tea outside a train station, has promised to modernise India's railways and build high-speed engines befitting Asia's third-largest economy. His government has pledged to replace old tracks and upgrade security infrastructure but little progress has been achieved so far. By some analyst estimates, the railways need 20 trillion rupees ($293.34 billion) of investment by 2020, and India is turning to partnerships with private companies and seeking loans from other countries to modernise its network. Last year, Japan agreed to provide $12 billion in soft loans to build India's first bullet train. On Sunday Modi took to Twitter to express his condolences. 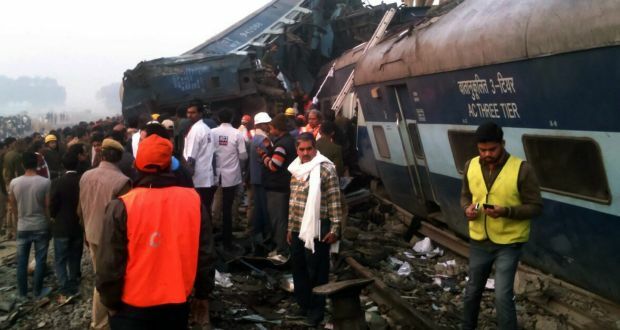 "Anguished beyond words on the loss of lives due to the derailing of the Patna-Indore express. 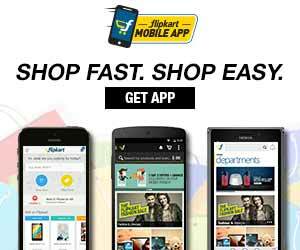 My thoughts are with the bereaved families," Modi said.